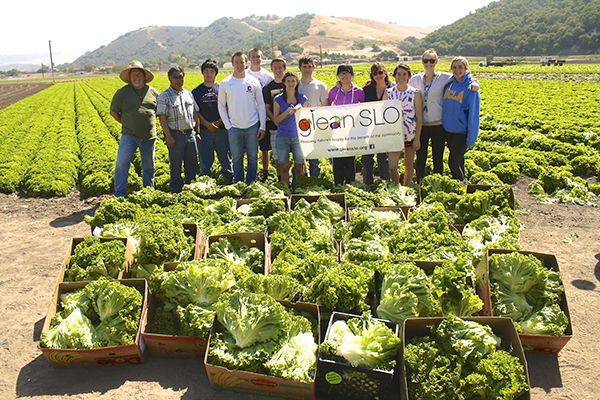 GleanSLO is a program of the Food Bank Coalition of San Luis Obispo County that harvests excess produce and donates it to local Food Bank agencies to be distributed to food insecure individuals around the county. Additionally, GleanSLO will pick up crops which have already been harvested. Bins to pick into are available upon request. From small scale farms to large grower cooperatives, GleanSLO has the capacity to harvest any size farm. We properly train, supervise and hold liability coverage for all volunteers who glean with us. We are happy to provide a certificate of coverage if necessary. New CA legislation that takes effect on January 1, 2017 will provide a tax credit for all CA grown produce donated to food banks, equaling 15% of the donation’s wholesale value (up from current expiring legislation which provides 10% of the donation’s inventoried value). Additionally, farmers are also eligible for a federal tax deduction for donated produce. For information, see the link below. Please consult your tax advisor to determine your eligibility for the tax incentives. Standardizes donor liability exposure. You or your legal counsel do not need to investigate liability laws in 50 states; and Sets a floor of "gross negligence" or intentional misconduct for persons who donate grocery products. According to the new law, gross negligence is defined as "voluntary and conscious conduct by a person with knowledge (at the time of conduct) that the conductis likely to be harmful to the health or well-being of another person."